If you’re looking for a professional, fun, and reliable DJ for your next event, your search is now over. I have over 6 years experience entertaining and making events memorable through music. 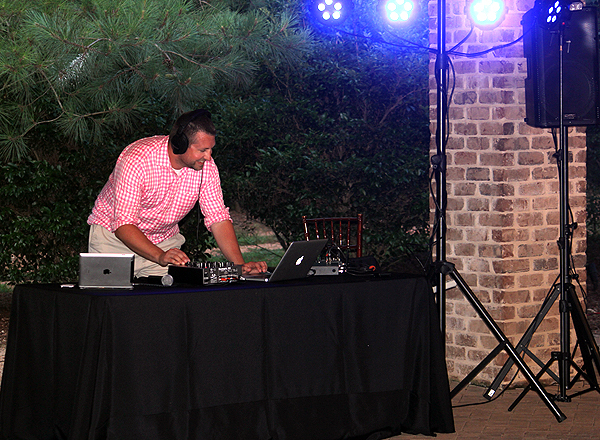 With over 5,000 songs, professional sound and lights, I certainly can bring the party. Packages starting at just $650! Q: Are you cheesy and talk on the mic the whole night like other DJ’s I’ve heard? A: Nope. The night is about you. Not me. I certainly have no problem making announcements, introducing the wedding party, etc. But I do not treat gigs as if I were DJing a club in Miami. Q: What do we need to provide you? A: Generally just a few power outlets. I bring everything else (table, speakers, lights, mics, and all other related gear). A meal is generally nice, but if one can’t be provided, I can always bring my own. A: Yes. If I’m going to hold a certain date for your event, I require a signed contract and a 40% deposit. Final payment due within 10 days of the event. A: I have all types of music from top 40, beach, oldies, country, dance, classic rock, dance, pop, jazz, easy listening, and more. If you book me as your DJ, we will have a preparation meeting where we will outline the evening including special songs, songs you want played, songs you don’t want played, and a general idea of the genres you wish to hear. All songs are radio/clean edits. 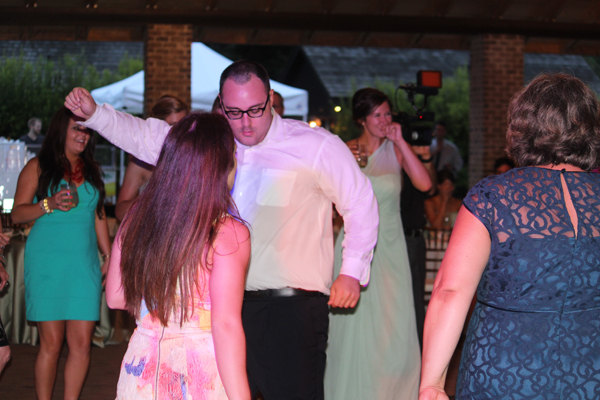 We hired Will as the DJ for our wedding in March of 2014 and could not have been more pleased. Will made sure we had the songs we requested and did a great job mixing in other that fit our theme. 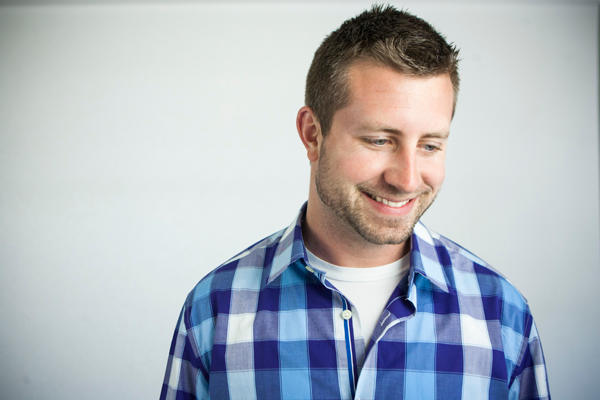 He is funny and engaging and has the perfect personality for the job! Will performed at my wedding reception July 2015, he did an incredible job and I would recommend him to anyone for any event. He was very diligent and prepared by making sure that all the details were taken care of well beforehand so that everything would go smoothly the weekend of the wedding. We gave him a list of a few songs we did not want to hear as well as some “must plays” that he could base the other song selections off of, and the music was excellent. 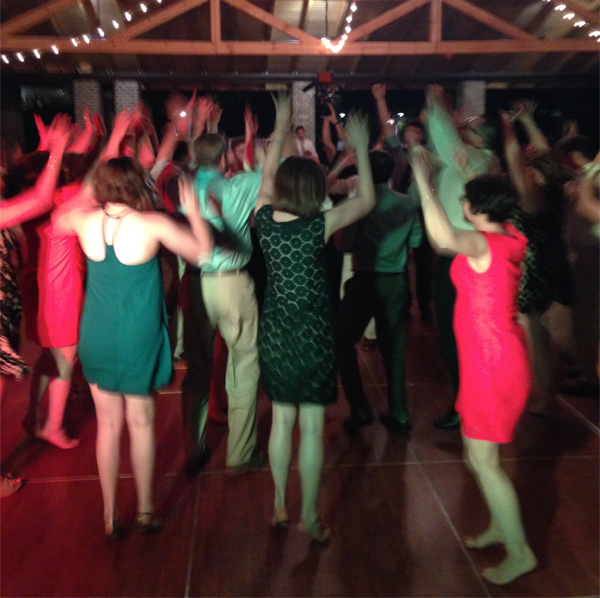 The reception lasted roughly five hours and he made sure to play songs that everyone would love and could dance to. 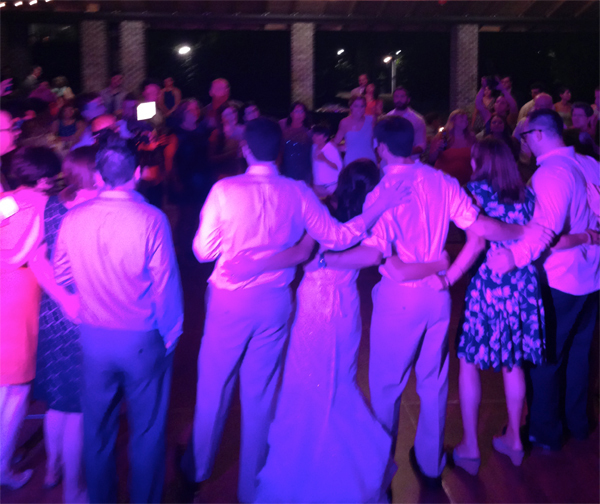 He was also able to accommodate my wife’s Greek heritage by playing 5 traditional Greek songs and organizing the crowd into a large group dance. He was very professional, provided all his own equipment, and coordinated on his own with the venue so that he rarely had to contact the bride, which was very helpful considering all the other vendors she was trying to organize. Just about everything in the wedding industry has an insane price markup, but Will was very fairly priced and had the best “bang for the buck” of any vendor we hired. Ultimately, Will did an amazing job, was very easy going and accommodating, and really helped make our wedding reception an evening we will never forget! Thank you! Thank you! Thank you! The music you selected couldn’t have been better. I’m sure you know that, given how busy the dance floor was. I got a kick out of hearing some of your selections, like “Love and Marriage” from “Married with Children.” So funny! I’m just glad I didn’t miss my song! If you ever need a reference, please let me know.